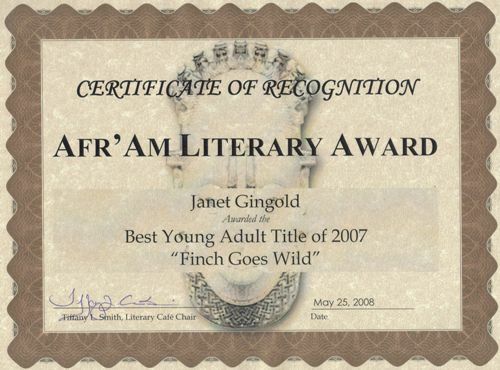 At the Afr'Am Fest in Norfolk, May 25, 2008, Finch Goes Wild was honored as "Best Young Adult Title of 2007." The Literary Awards Gala was a blast, with beautiful vocal selections by Ariana Shortridge and inspirational words about how to promote learning and literacy by Karen Quinones Miller. 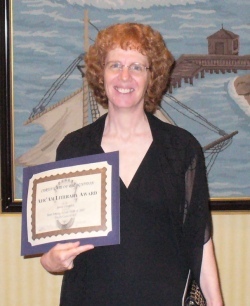 I am deeply honored to have my work acknowledged by this group promoting the idea that "Reading is a family affair." It was great to get to meet so many great writers and folks committed to getting more books into the hands of more young people! 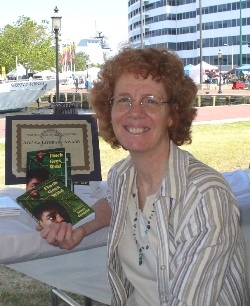 We had a glorious day at the Baltimore Book Festival on September 30, 2007. 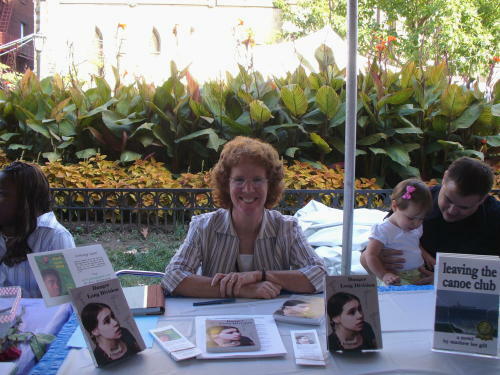 So many book lovers, so little time!